The biggest growth in the numbers has come from the school programs in Calgary. 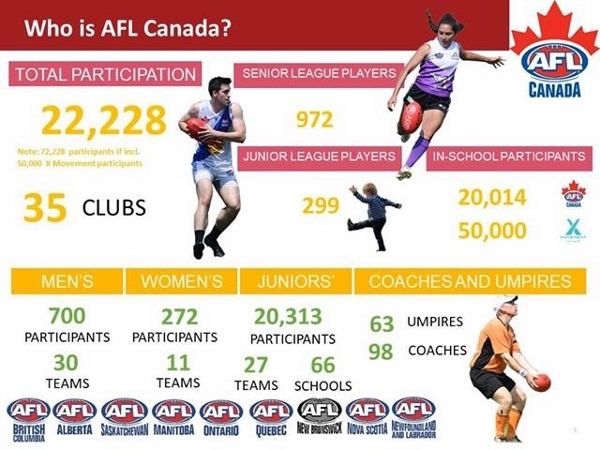 Those numbers have been increasing significantly to the point where volunteers were insufficient and a full-time Auskick manager has been hired.This Auskick manager is non AFL-funded but AFL Canada now has one fully funded staff member who has been responsible for submitting a proposal to receive National Sporting Organization. 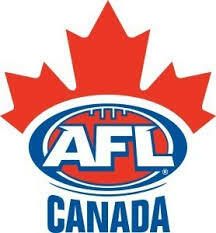 If successful, this will open government funding for Australain Football as a part of Canadian sport. Other highlights were the creation of an university league in Calgary and a new junior program in Goose Bay, Labrador. Participation is up due to school programs. It is to be noted that Aussie X still is operating privately in Canada and also produces significant participant numbers independently. The AFL president's report is here http://websites.sportstg.com/assoc_pa...54776&&news_task=DETAIL&articleID=63998279.